FOUR-TIME Flash! Friday (Rounds 1, 4, 29 and Vol 2 – 29) and 2014 Flashversary winner Phyllis Anne Duncan’s first print collection of short stories was the 2000 paperback, Rarely Well Behaved, which, in 2012, became two separate, reissued books, Blood Vengeance and Fences. In December 2012, she published Spy Flash, a collection of espionage flash fiction stories. Other short stories have appeared in eFiction Magazine in 2011 and 2012, in the 2013 Blue Ridge Anthology, and in 100×100, a collection of 100-word flash fiction. When not writing, reading, or reviewing books, she takes delight in spoiling her grandchildren. 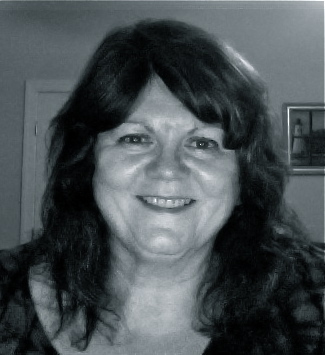 For more information on Maggie Duncan, please see her judge’s profile page. Visit Maggie on her Blog and follow her on Twitter. Read her Round 29 Sixty Seconds interview here. “And here we have possibly the most famous work in the Louvre, Da Vinci’s portrait of whom we believe is Lisa Gherardini, wife of the Florentine merchant, Francesco el Giocondo,” said the museum docent. Under the careful eye of the guard, the tourists gathered around the portrait, held back by its protective enclosure. “You probably know it as the ‘Mona Lisa,’ but we call it ‘La Gioconda,’” the docent continued. “Is that the picture that was in that Da Vinci code movie?” asked one man. The guard looked him over. An American, of course. “That was ‘The Last Supper,’” the docent replied, her smile indulgent. “Can we see that?” the tourist asked. No, you moron, the guard thought, because it’s in Milan. The docent moved the group along, and the guard met the eyes of Lisa Gherardini. If only they knew, he heard her say inside his head. His smile echoed hers. The real Da Vinci code was his formula for immortality, and who better to guard his masterpiece but Il Maestro himself? Hands shaking, he opened the door. What he saw brought his free hand to his mouth to stifle his scream. Gouts of red splashed the walls, the tub, the shower, rivulets running down the wall to pool on the floor. There was so much of it. He could see streaks of it across the mirrors, on the toilet seat. The rugs were soaked with it, discarded towels clotted with it. Every surface of the once pristine bathroom had been defiled, and he dare not step inside, lest he slip in a puddle of it and be covered himself. His whole body on the verge of convulsing, he closed his eyes, but the horrific image had burned on his retinas. What should he do? Whom should he call? How could this have happened? He opened his eyes again and saw his wife, covered in the red mess. On Friday, everything changed, and this should have been the story of everyone’s lifetime. In 1974, we sent the Arecibo Message out into the universe, and we, young and eager for a reply, celebrated the intellectual exercise. The decades passed in silence, and we were still there, now old and cynical.